Rapid detection of low number of pathogenic bacteria in food is difficult. 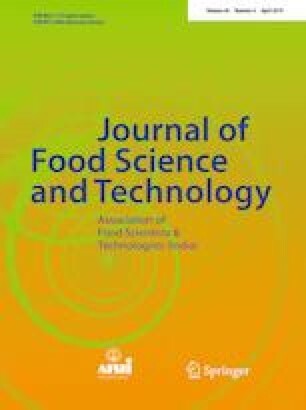 This study tested the filter-based loop-mediated isothermal amplification-lateral flow immunoassay (LAMP–LFA) method for rapid detection of pathogens in real food. Escherichia coli O157:H7 was inoculated on 25 g of beef and the homogenized sample was filtered with 0.45 μm cellulose nitrate filter, and concentrated E. coli was recovered and DNA was extracted and analyzed by LAMP. LFA reaction was performed by hybridization of digoxygenin-labeled LAMP amplicon and biotinylated probe. The sensitivity of the filtered sample was 100 times more sensitive than that of the unfiltered sample. The total reaction time used for detection from sample preparation to confirmation of E. coli was within 3 h. These results suggest that the LAMP–LFA method can be used in real food systems as point-of-care testing for E. coli O157:H7 in beef. This research was supported by Basic Science Research Program through the National Research Foundation of Korea (NRF) funded by the Ministry of Education (NRF-2017R1D1A1B03030859).